When I decided to wear my baby for the very first time, I had no idea what I was getting myself into. I have three older girls, so I was already a pretty busy Mama. So when Summer came around, it only made sense to go hands free in the pool. I made the wrap in this picture with some swimsuit material I bought at a local fabric store. It was fairly inexpensive, and super easy to do. My youngest daughter, Nora, was born in Feb 2013. She pretty much goes everywhere with me, now that I’m a SAHM. We have found many different places and reasons to wear, but my favorite is just being close to her. She is such a happy girl when she is “up”. 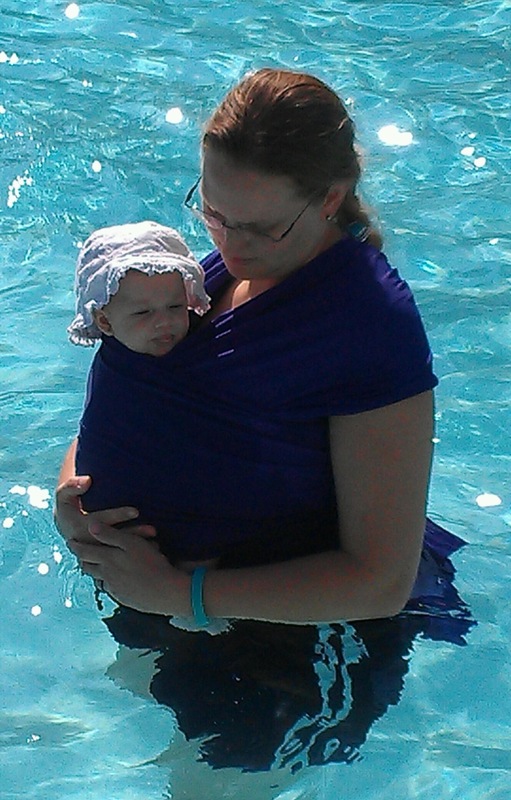 Wearing her in the pool made her first experience with swimming a calm and relaxing one!